At our house the countdown is on to the final movie installment of the Harry Potter series. The movie comes out July 14. We have all been anticipating this movie since we saw part one last summer. We started reading Harry Potter out loud to our kids when they were very young, Star Wars Son was in the first grade and Dancing Daughter was around 4 years old. They grew up with Harry, Ron and Hermione. They feel like a part of our family. SWS and DD fantasized about going to a school like Hogwarts, where the Headmaster (principal) cared so much for his students. And honestly so did I. SWS and DD learned about good over coming evil and that not everything in life is easy. I liked how the books pushed the boundaries of being good students while also questioning authority. I like to think my kids learned that some things are worth fighting for, especially when it comes to friendships. In honor of the final movie, I've been reading all the books again. It is truly amazing that they still hold my attention and still make me cheer even though I already know what's going to happen. It's hard to believe that the last book came out almost 4 years ago. It's sad that there has not been another Harry Potter book to look forward to. I hope JK Rowling writes more books, she is a gifted writer who's characters are so easy to fall in love with. Our family has had plans to watch all the movies before going to see the final movie, but with four different schedules to work around I'll be shocked if that happens. In case you're wondering, my favorite character is Professor Severus Snape! He did not become my favorite until I saw how Alan Rickman portrayed this complex character in the movies. Are you a Harry Potter fan? If so who is your favorite character? Are you looking forward to the final movie? Have you seen Eat, Pray, Love? If you have did you hear the song while the end credits were running? It's Eddie Vedder singing Better Days, a song he wrote for the movie. There is a wedding scene in the movie where they used a Pearl Jam song called Long Road. It's a version that Eddie Vedder and Jeff Ament did with Rahat Fahet Ali Kahn. It's a short little snippet in the movie, the video version below is much longer, but definitely worth the time to listen. Have a great Saturday. I'm scrapbooking for the rest of the weekend! This week I've only been listening to Pearl Jam and Dave Matthews Band and since I already posted DMB last week and I do PJ on Sundays I thought I'd go a different direction today. I was searching for a video of a My Morning Jacket song that's in the movie Elizabethtown. What I found instead was a gem of a video/interview with Cameron Crowe about the music of the movie. I've mentioned before how much I love Cameron Crowe. I love every movie he's ever done and I'm waiting, very impatiently, for his upcoming Pearl Jam documentary. If you love music perfectly paired with a movie rent Elizabethtown today!! Last night Handy Man and I had one of those rare times when we had the house to ourselves. It happens only a few times a year. Usually we have a house full, especially on the weekends when the kids have friends over. What did we do to take advantage of our time?! We watched my favorite movie of all time, Almost Famous. This is my go to movie when I'm feeling down, not that I was feeling down last night, but I had listened to the soundtrack earlier in the day and as it was playing I mentioned to Handy Man we should watch the movie. After the movie we spent 2 hours listening to songs on vinyl from our younger years, very loudly! We listened to Styx, The Knack, Michael Jackson, Joan Jett, Journey, The Cars and others. We had a blast! Almost Famous was written and directed by Cameron Crowe. It's a semi-autobiographical account of his time writing articles for Rolling Stone as a 15 year old kid. It's a great story and if you love music you will love this movie. Cameron Crowe has been involved in a few other movies you might have heard of, Jerry McGuire, Singles, Say Anything, Fast Times at Ridgemont High (his first movie), Vanilla Sky, Elizabethtown. What does this have to do with Pearl Jam you ask?! Cameron Crowe produced a Pearl Jam project called Single Video Theory which chronicles the making/rehearsing of Pearl Jam's 1998 album, Yield. Cameron Crowe is hard at work making a Pearl Jam documentary, due to be released in 2011, in celebration of their 20 year anniversary. I can't wait! I feel like I've been absent from my blog lately. Oh, I've been making posts, mostly close up nature photography posts. I feel like I've been having an affair with my new lover lens that I seriously can't get over! I haven't posted anything new at my exercise blog since, well, sometime last week. My good intentions are there, I'm just not following through. I've even lost weight, but haven't taken the time to figure out how much... Somewhere around 3 pounds in 2 weeks. I've been working out everyday and I joined Curves yesterday; I've started 2 a day workouts. (That makes me sound like an NFL player!) I'm baffled as to why I haven't blogged about all of this over at Truckin'. Innocent in Death by JD Robb (otherwise known as Nora Roberts) - A The In Death series are my go to books. I always read one after I read something epic that I have a hard time letting go of. I always have trouble getting Harry Potter out of my system. I think I'm defective that way. Revolutionary Road by Richard Yates - C This book was a strange one for me. I didn't really enjoy it, but I couldn't stop reading it. I had to know what happened with the characters. Vanishing Acts by Jodi Picoult - B I enjoyed this book. There were interesting twists and turns that kept me guessing. I will definitely read more of her stuff. Revenge of a Middle Aged Woman by Elizabeth Buchan - C I can barely remember what this book was about, but I do remember that I finished it. The Memory Keepers Daughter by Kim Edwards - A This was mostly a heartbreaking story, but I enjoyed it very much. Water For Elephants by Sara Gruen - A+ I just finished this book (hence the blog post with actual writing!) and loved it so much. It was one of those books where I didn't want to sit down and read unless I knew I was going to get at least an hour of uninterrupted time. I'm recommending this for a summer must read! I don't usually read so many books in such a short time, but I've been craving the books lately so I've been going with it. Handy Man has been refinishing the kitchen cabinets and they look beautiful. No I haven't taken pictures. As of yesterday school is over for the summer. There was a BBQ at Dancing Daughter's school. It was really hard for me for many reasons. I organized the BBQ and had to get everything set up, that kind of thing always stresses me out. It was time for DD and I to say good bye to the school, students, teachers and parents we've come to really like. I've been involved with that school for 5 years being a major volunteer, 3 with SWS and 2 with DD. It was an ending for me and I don't do well with those. No I didn't take pictures at the BBQ. SWS had a ceremony at school where the Juniors become Seniors at a special assembly. He said it was very emotional saying good bye to the Seniors, but totally awesome to get to "take over" the Senior bleachers. Our friends Chrissy and Mark purchased airline tickets and are coming to visit us from Boston at the end of July. I am so excited about this! We are all thrilled about this... The whole family is going, plus 3 other teens. I know it's dinner time right now, but I'm going to go make some coffee... 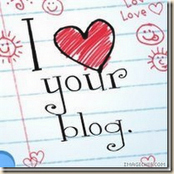 It will be late tomorrow before I make contact with any of my bloggy friends!